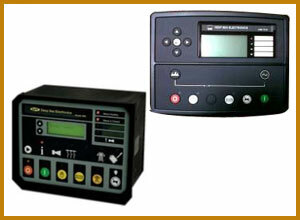 All types of electronic controllers for generators and panels are also available with us. 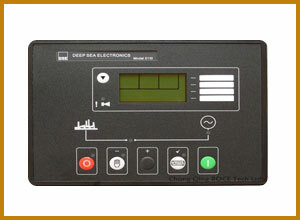 The function of the electronic controller on a larger diesel generator set provides monitoring of the hertz, volts and amperage in addition to the basic safeties and auto start features. In the auto start mode the controller can be used with an automatic transfer switch or inverter/battery system as a standby/emergency Gen set . Complex controllers use safeties and shutdowns for such things as low oil pressure, high temperature, over/under speed, engine start over -crank, low fuel levels, low coolant level, KVA output, KW Output, Power factor, engine and generator gauges in real time. These complex electronic controllers can also have the capability to have remote monitoring and starting. These electronic controller on diesel generator sets are very important for industrial and manufacturing facilities to keep them up and running.